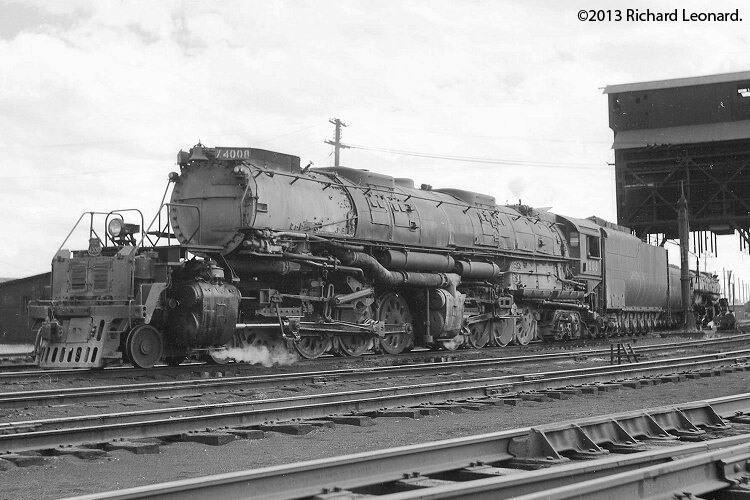 The Union Pacific Big Boys will be built by the Builder now producing the Southern Pacific Cab Forwards. Please watch for updates on this project. chalk on the front of one of the engines as it was being built. It became the nickname thereafter. 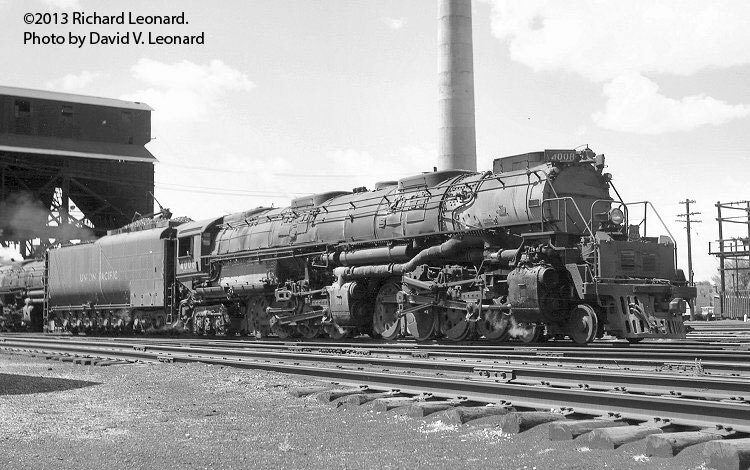 The 25 Big Boys were built in two groups. 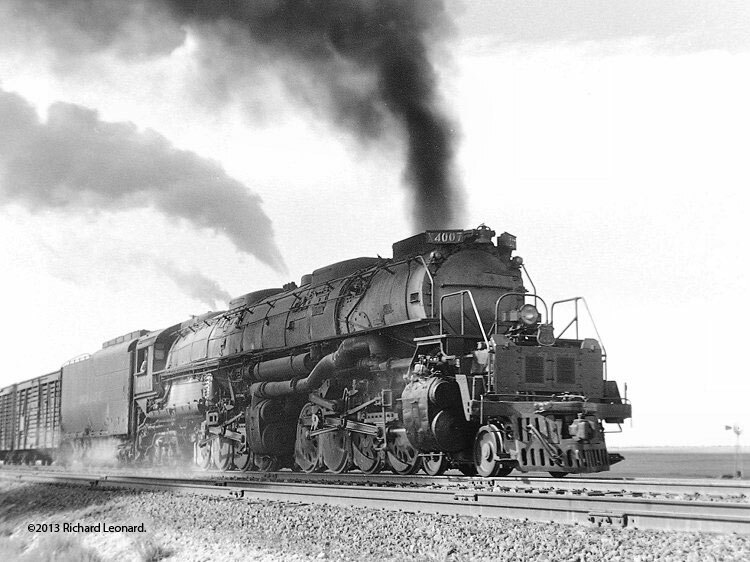 The first group, called "class 1", were built starting in 1941. They were numbered 4000-4019. 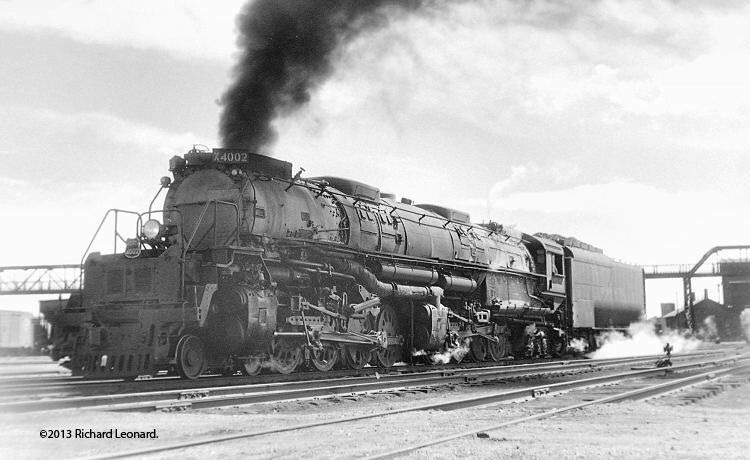 The second group, "class 2", were built in 1944. 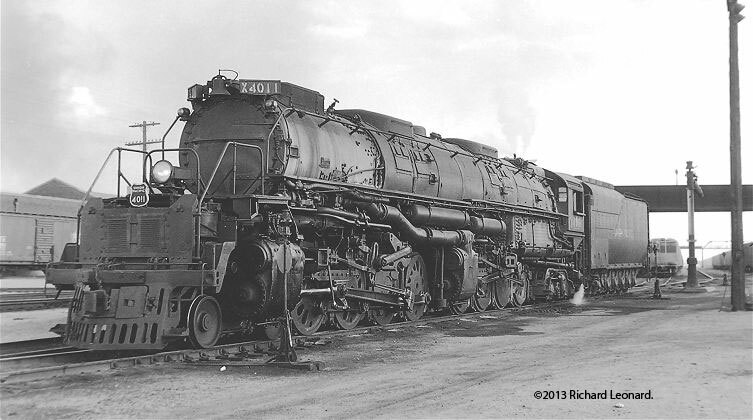 They were numbered 4020-4024. 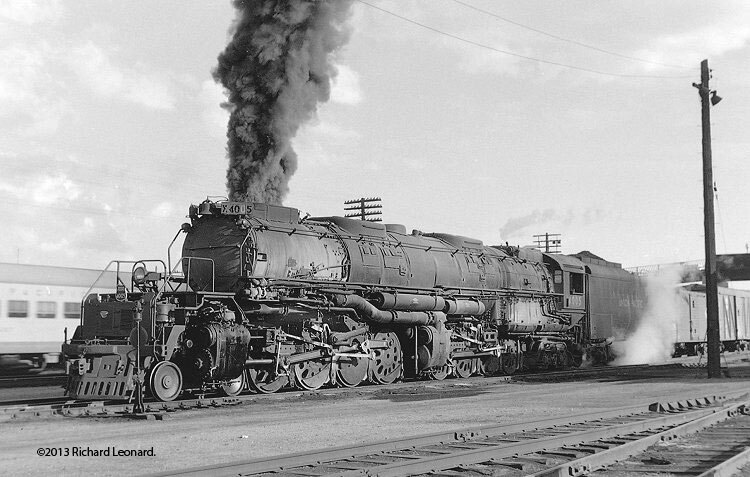 The last revenue freight pulled by a Big Boy was in July of 1959. Most were retired in 1961. 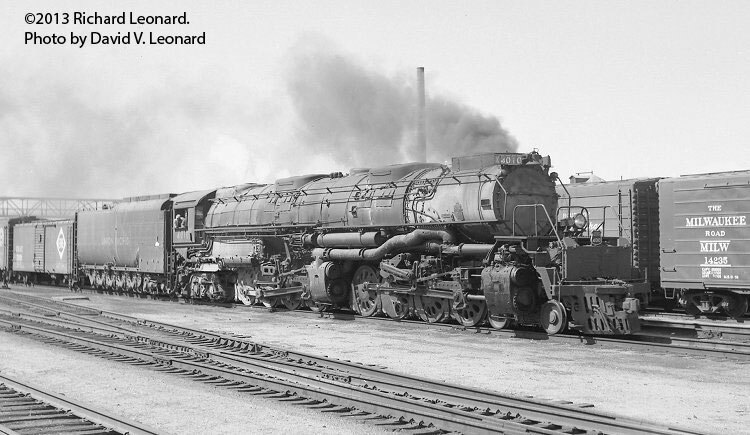 The last one was retired in July of 1962. 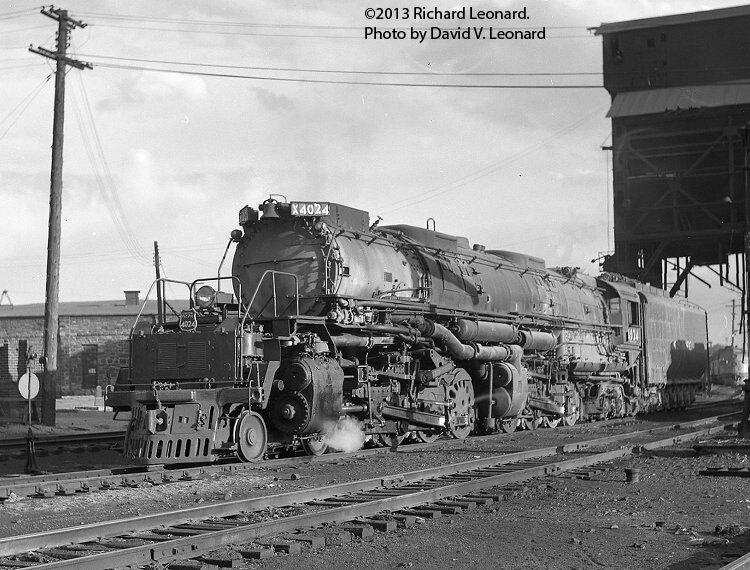 As late as September, 1962, there were still four operational Big Boys at Green River, WY. 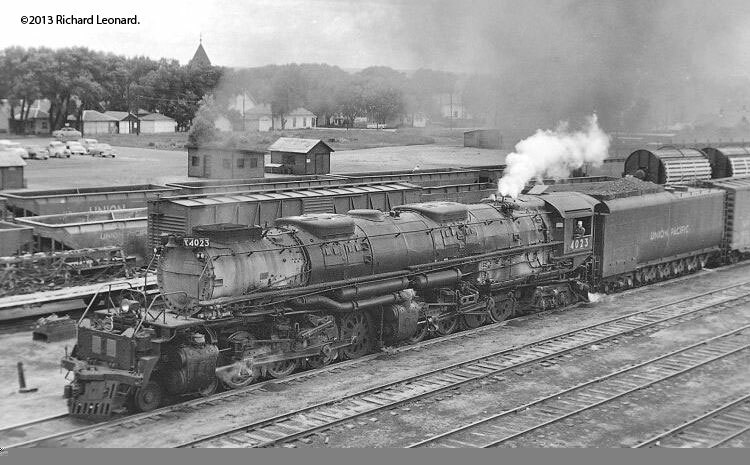 Click on below Big Boy Photo to go to Dr. Richard Leonard's Rail Archive Website with hundreds or Beautiful Railroad Photos.